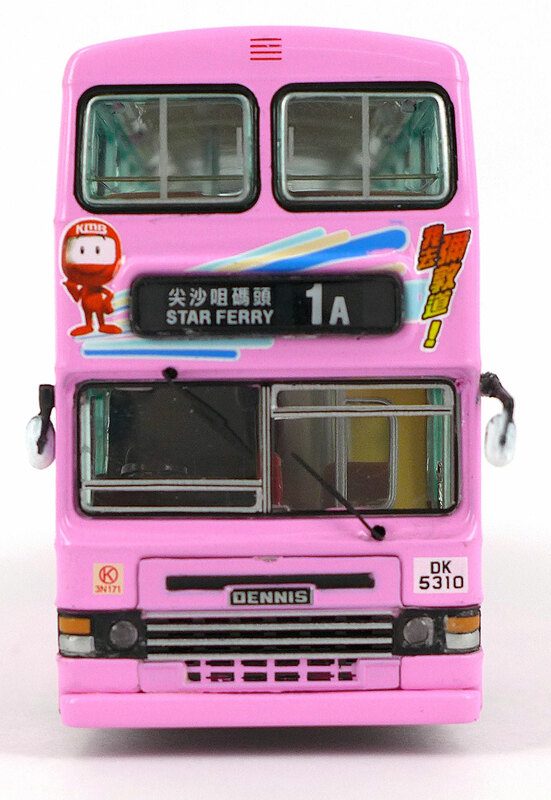 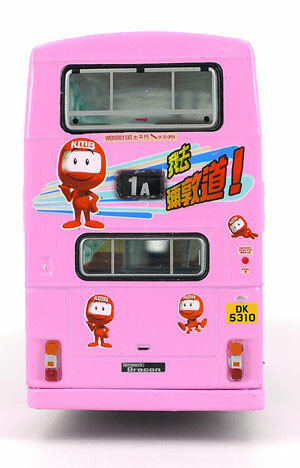 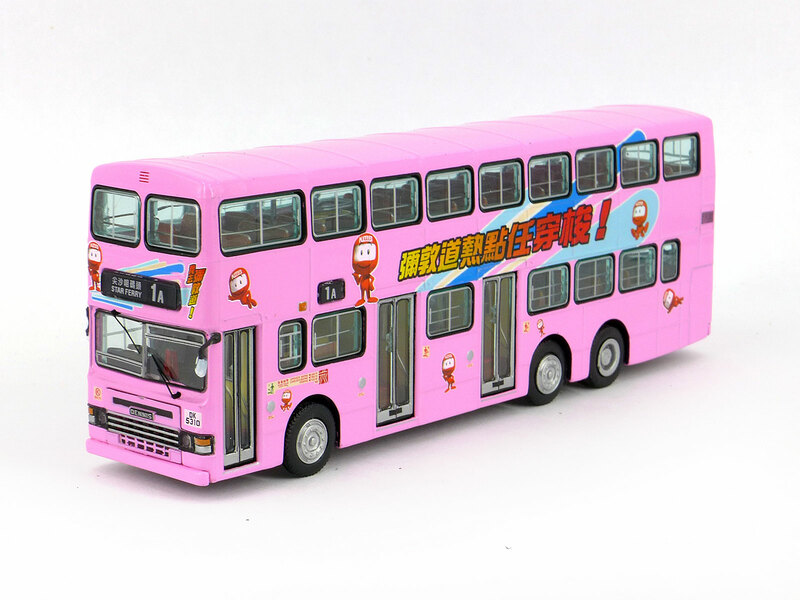 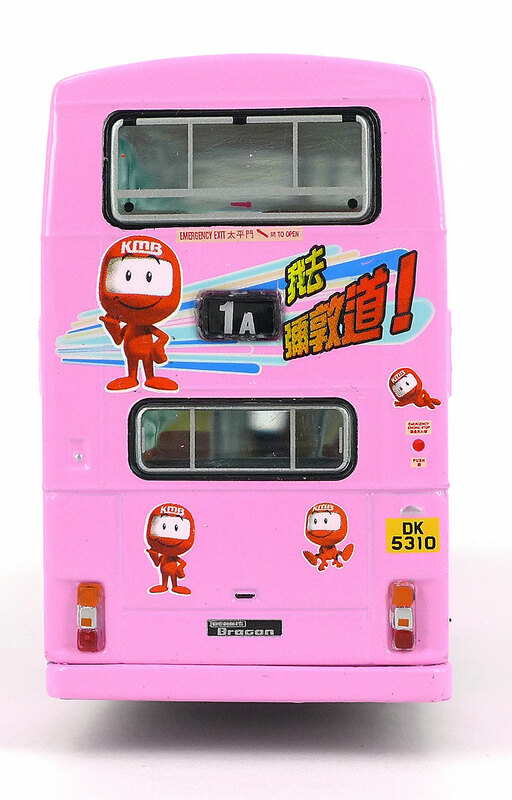 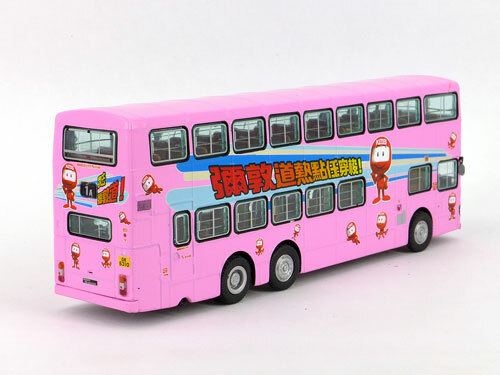 The model - the second pink Captain KMB Dragon was issued on 4th April 2014, this time featuring 3N171. 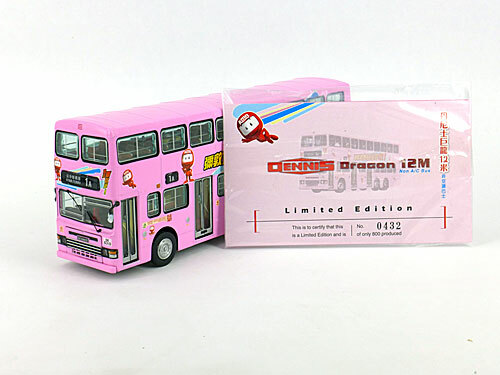 The first featured 3N143 (92610). 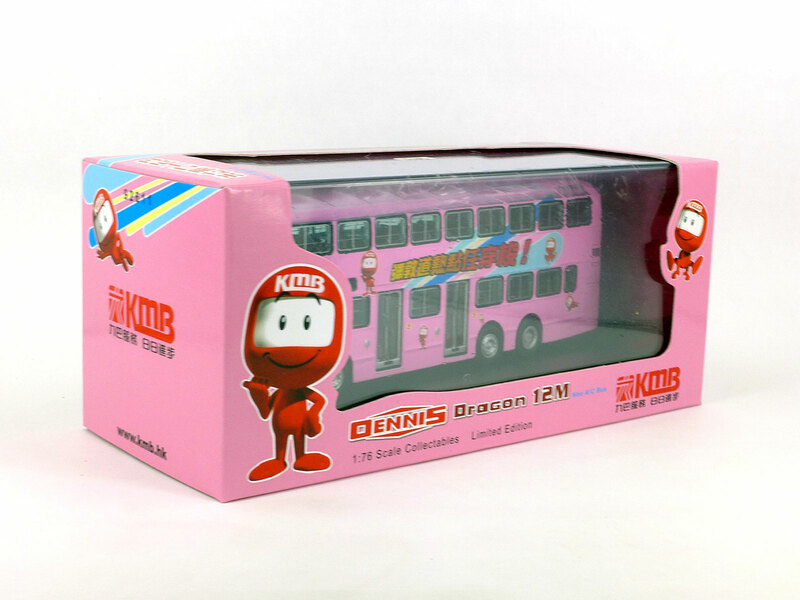 The bus - following successful trials of KMB's first 3 twelve-metre Dennis Dragons, a further 188 examples were delivered between November 1983 and November 1986. These production buses differed from the 3 prototypes in that they were fitted with Duple Metsec bodywork which featured a three door layout.